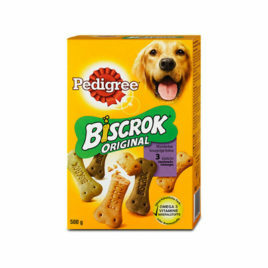 Las Barritas para perros están elaboradas únicamente con ingredientes 100% naturales y una excelente palatabilidad. 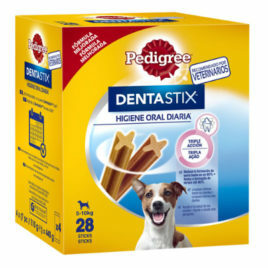 Una recompensa sinónimo de calidad de vida para su perro. 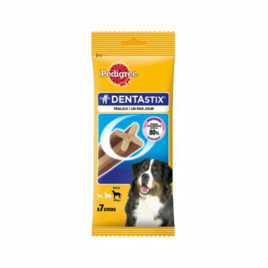 Fácil de manipular y conservar. 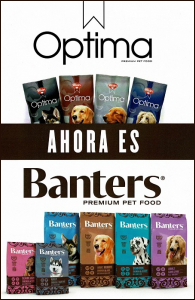 Las barritas Alpha Spirit están disponibles en 7 diferentes sabores con propiedades únicas, servidas en diferentes formatos: barritas individuales y ristras de 4 barritas. 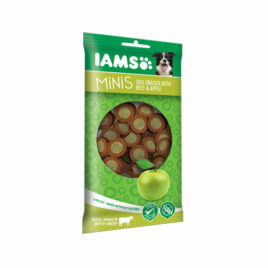 IAMS Minis Beef & Apple are delicious dog snacks with Beef and Apple. 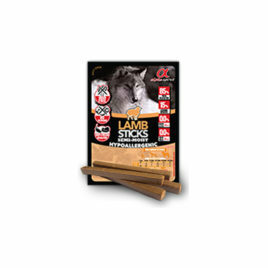 They are enriched with essential vitamins , low in fat and made without gluten. 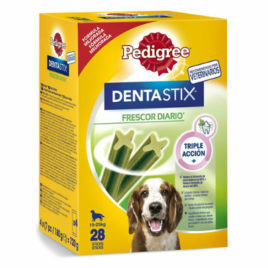 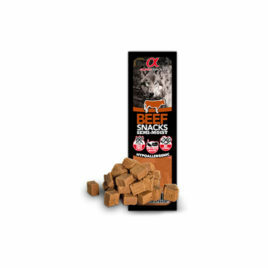 A healthy reward for your dog! 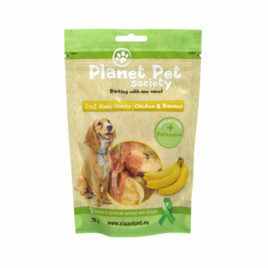 Planet Pet Society Chicken & Banana combines dried banana with meaty chicken fillet wrap. 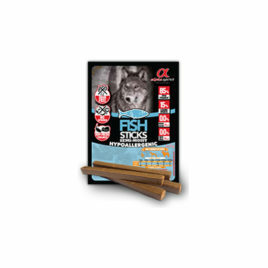 Banana is tasty and includes potassium for healthy muscle function. 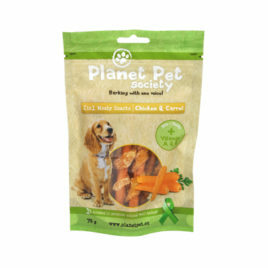 Planet Pet Society 2in1 Meaty Snacks –product line consists of protein rich chicken meat with vitamin- and fiber packed fruits, vegetables and rice. 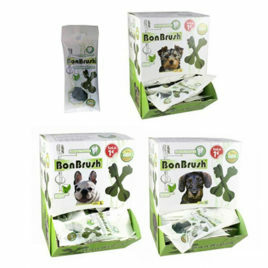 Delicious products are ideal for training situations, activating or purely pampering your pet. 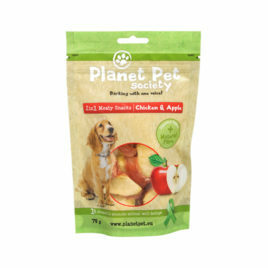 Planet Pet Society Chicken & Apple combines dried apple with meaty chicken fillet wrap. 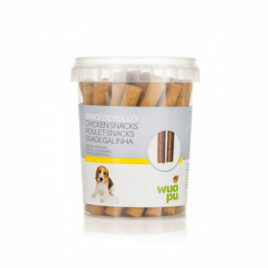 Apple is tasty and includes dietary fibers. 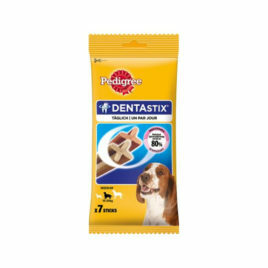 Planet Pet Society 2in1 Meaty Snacks –product line consists of protein rich chicken meat with vitamin- and fiber packed fruits, vegetables and rice. 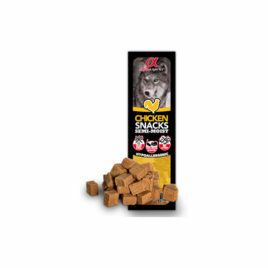 Delicious products are ideal for training situations, activating or purely pampering your pet.